What a treat it is to drink, and not just taste, DRC’s 2011 Échézeaux. Because DRC’s wines are so rare and expensive, all too often they are served at grand, lavish tastings, but less frequently enjoyed at the table. 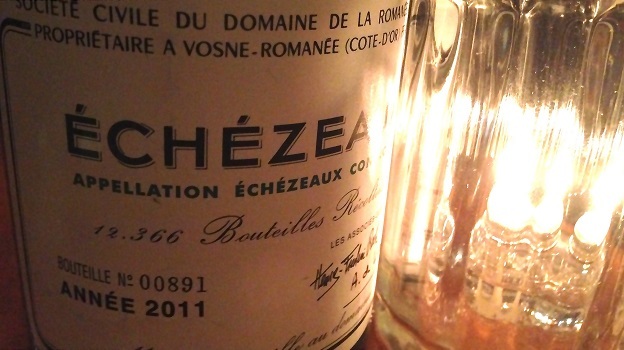 At the end of the day, though, wine is about drinking and pleasure, so it’s great to have the opportunity to truly savor the 2011 Échézeaux over a leisurely dinner. Of course, the 2011 is a baby, and while I would not recommend opening a bottle anytime soon, the wine more than lives up to the praise I have bestowed upon it in the past. A deep, surprisingly powerful Burgundy, the Échézeaux hits the palate with notable intensity and volume. The flavors are naturally still very primary, but it is the wine’s texture and overall resonance that truly impress today. Veins of cool, savory-infused minerality lend energy to the exquisite finish. Readers lucky enough to have access to the 2011 should not hesitate; it is fabulous. 94+/Drinking window: 2021-2041.